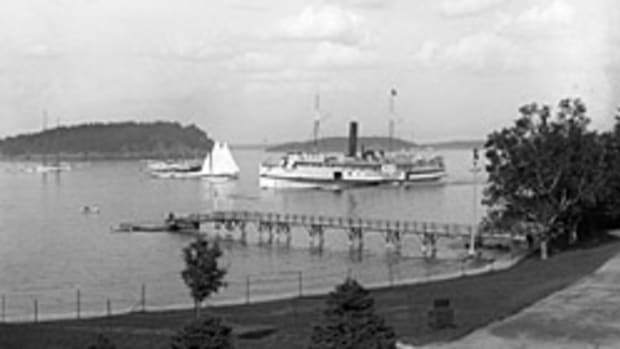 Seaborne at Roche Harbor in Washington during her maiden voyage. The cruising dream is a powerful one. Far horizons beckon with new ports of call, new people to meet. There’s the challenge of running the boat and becoming familiar with it. And the moments of sheer pleasure, just being on the water. But there are hard realities and tough questions: Where to go? For how long? Live aboard? Then, there’s the boat. New or used? Big or small? Faster or slower? 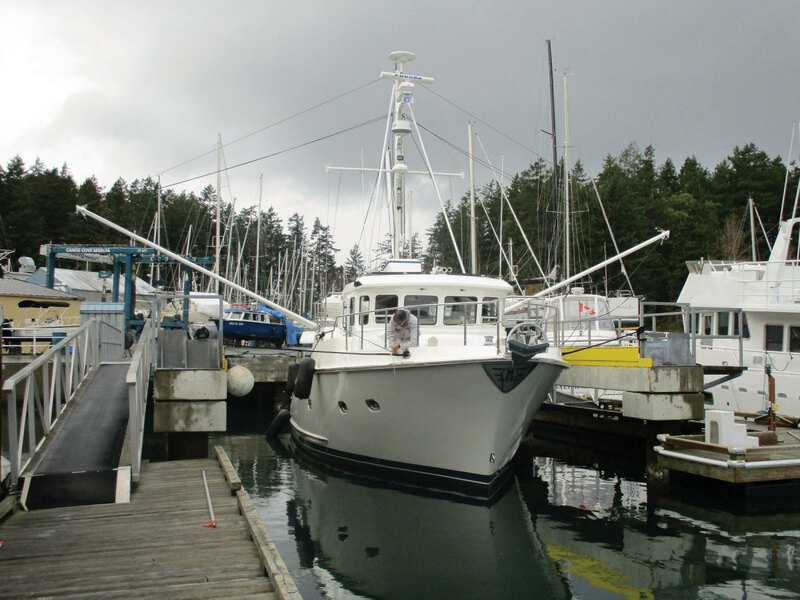 Don and Jill Bernard chose a used 43-foot Nordhavn for their planned cruise into retirement. But selecting the boat was only the first step in making their dream a reality. 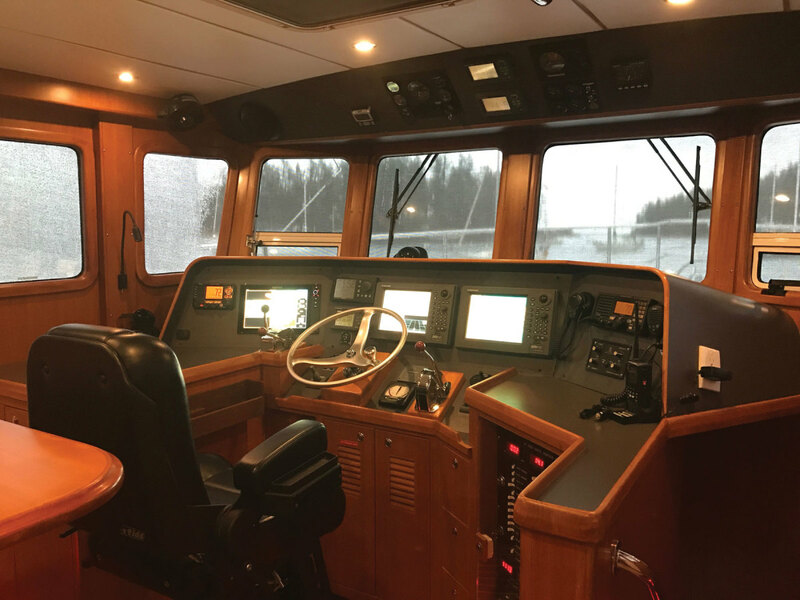 The 11-year-old passagemaker has been given a refit to bring it to “like new” condition. 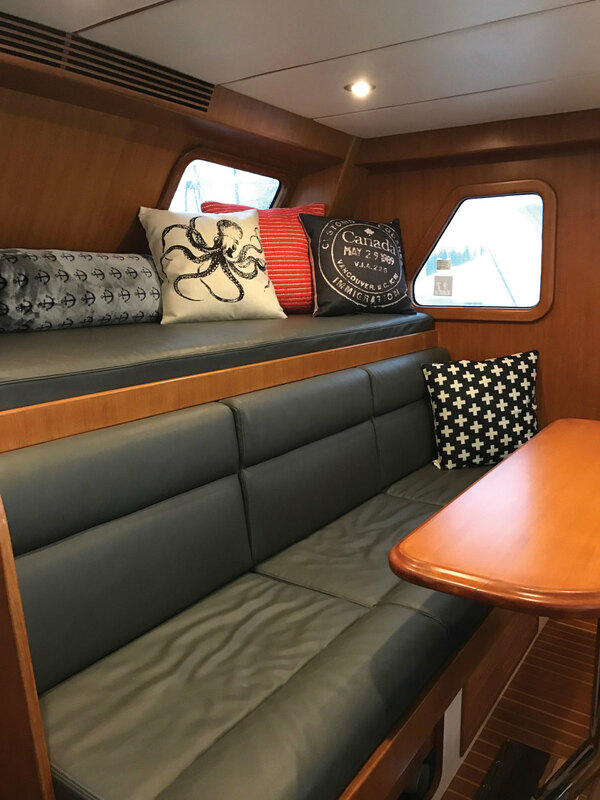 Seaborne launched this past spring, and the Southern California couple spent the summer getting acquainted with their passagemaker. A sister ship Nordhavn 43. The Bernards are lifelong boaters; their most recent vessel was a Beneteau Swift Trawler 42, which replaced a 35-foot Silverton convertible. Their cruising grounds covered Catalina, the Channel Islands and various Southern California ports. 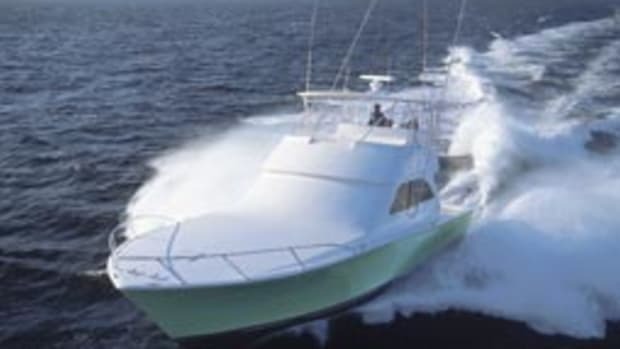 They’ve also chartered bareboats in the Pacific Northwest and the Caribbean. “I love the freedom and complexity that the ocean provides. 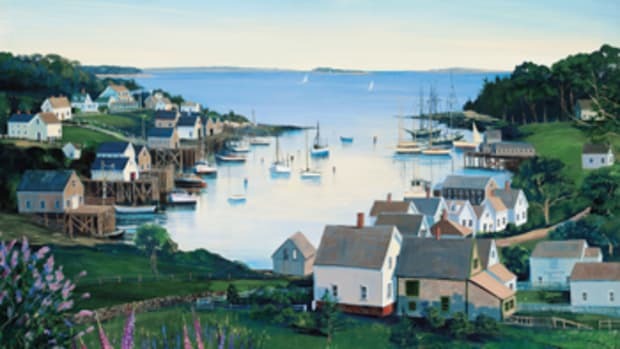 It is always a challenging pallet,” says Don, who grew up in Newport Beach, California. “I have a love for all types of boats, with a passion for trawlers.” Jill grew up in Nevada, boating on Lake Mead. The list of parameters was simple. 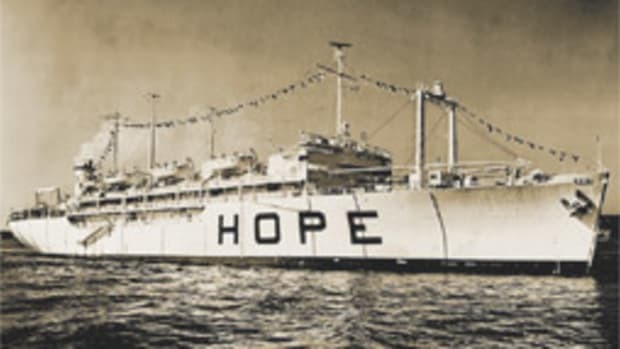 Their ideal boat would have two staterooms, two heads and a pilothouse, and provide a livable common area with a galley up. The length overall was to be less than 50 feet so the couple could pilot the boat without other crewmembers on a day-to-day basis. There would be room for guests and additional crew as needed. Resale value was also important. “We thought it was [a] prudent [choice] for trading up or eventually getting out later in life,” he says. 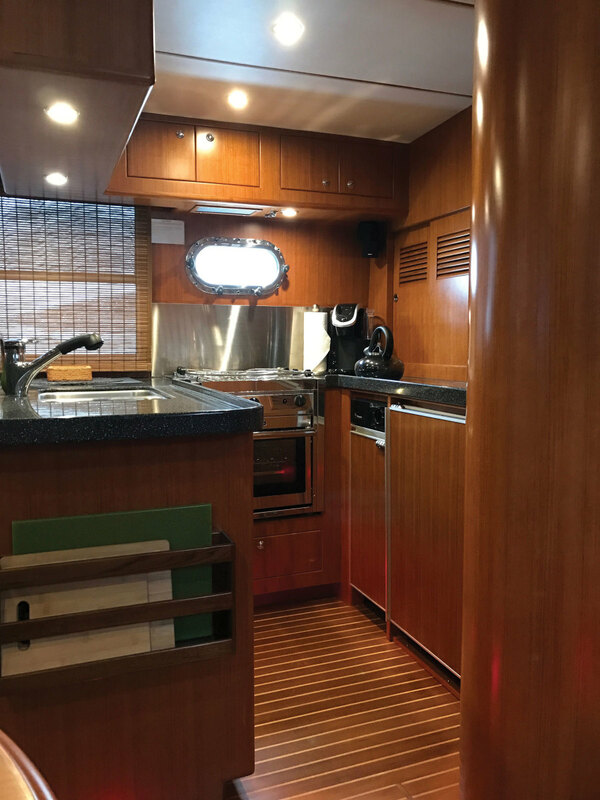 Seaborne’s saloon has the galley up, with a three-burner stove/oven combination unit, two refrigerators and a deep freezer. 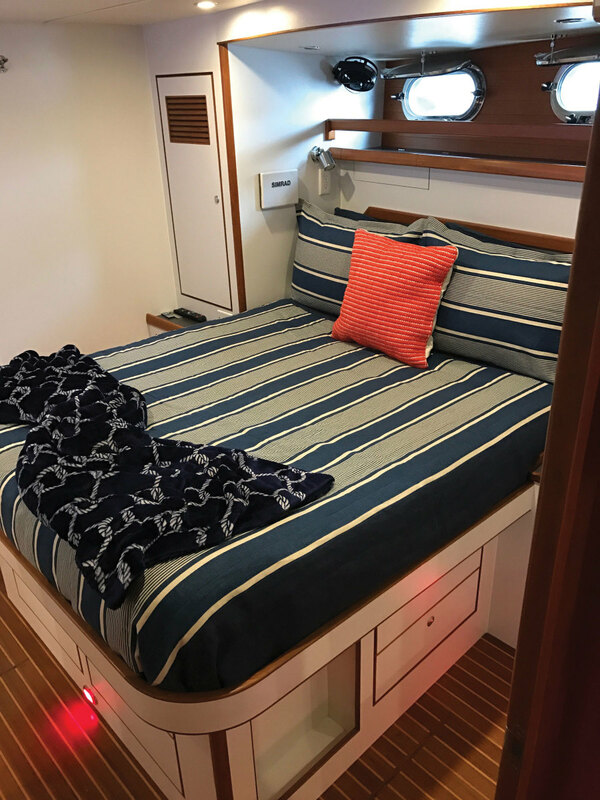 The raised pilothouse is roomy enough for a table, a chart area and a bunk “to help make night passages a little less lonely,” Don says. 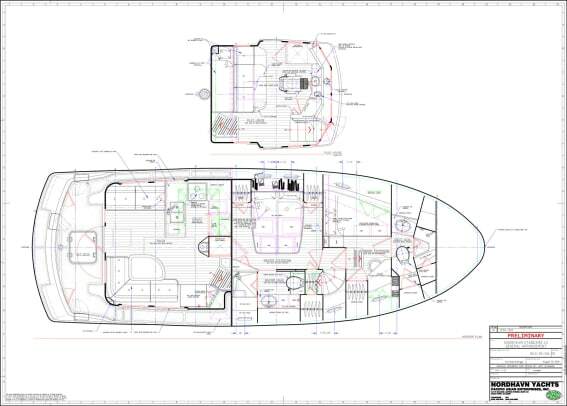 The layout below has an amidships master stateroom with an attached head. The guest stateroom is forward, also with its own head compartment. It’s powered by a 170-hp turbocharged Lugger diesel that gives the boat a cruising speed of 7 to 8 knots. 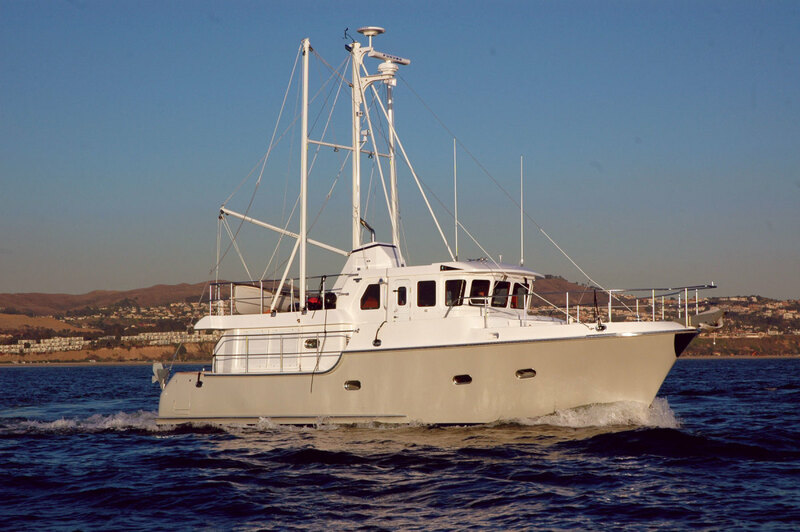 Matched with a 1,200- gallon fuel supply, the Nordhavn 43 has a working range of 2,500 to 3,000 miles. 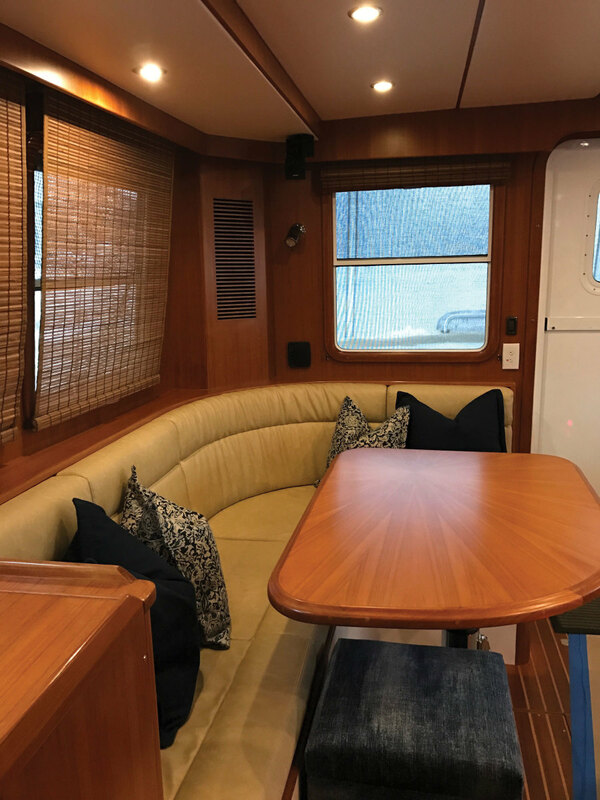 In sum, Don says, Seaborne is a perfect couple’s boat that can accommodate occasional guests while providing a structural platform that their lives can depend on. 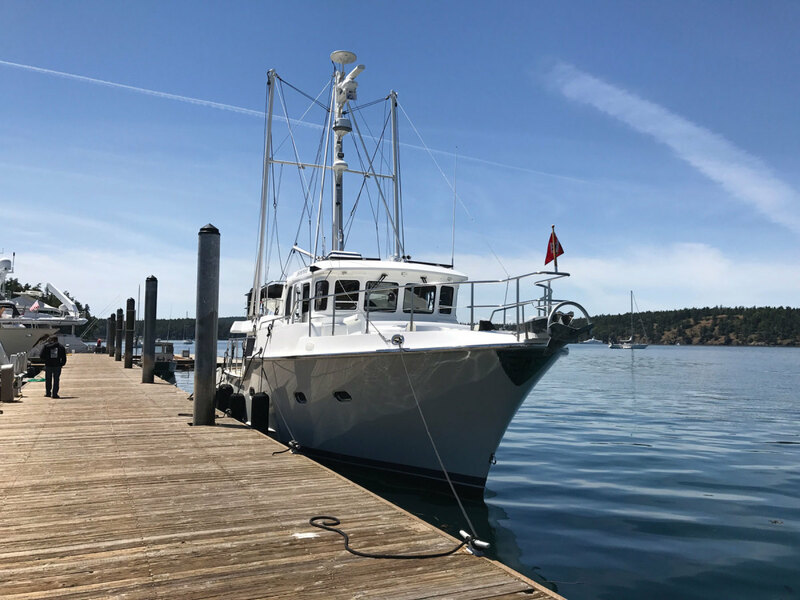 Broker James Leishman Jr., son of Nordhavn president Jim Leishman, found the 2005 model for the couple in the Seattle area. That called for a refit. 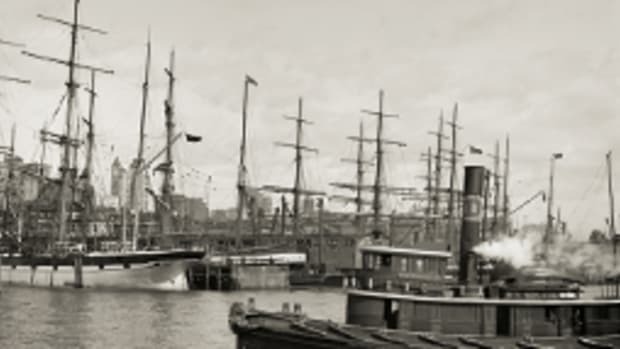 The term Wild West could apply to the Pacific coast as well as the prairie. 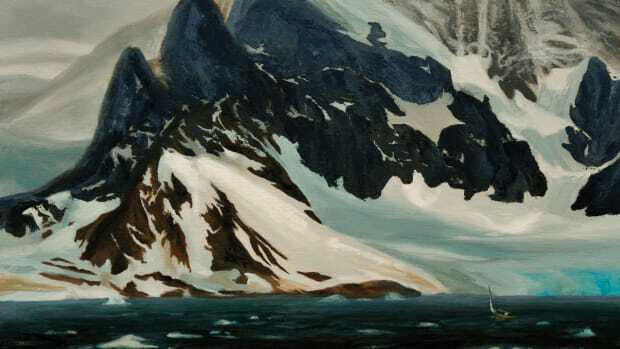 The world’s largest ocean presents the cruising mariner with strong currents and violent storms, a dangerous coastline with a dearth of harbors and, in far northern waters, few facilities. Self-sufficiency is important. The Lugger diesel was serviced. The boom for the tender was inspected, and new winches were installed. A cooling system for the engine room and bilge was added. Even the Nordhavn’s mast got some attention: new paint and spreader and masthead lights. “There’s nothing on this boat that hasn’t been touched,” Nassichuk says. The constant question? The extent of the project. The result has been “unbelievable,” he says. Don retired in May, and he and Jill spent this past summer cruising the Canadian Gulf Islands and the San Juan Islands. They have Alaska in their sights for next summer. “This is a new boat that I would feel comfortable taking around the world,” Don says. Raven Marine began more than 20 years ago as a yacht management company, overseeing pleasure craft in the Vancouver, British Columbia, area. Today, the full-service facility handles yacht maintenance and repair, as well as taking on major projects. “Very extensive refits … that’s what we do,” says John Nassichuk, 62, the yard’s general manager. 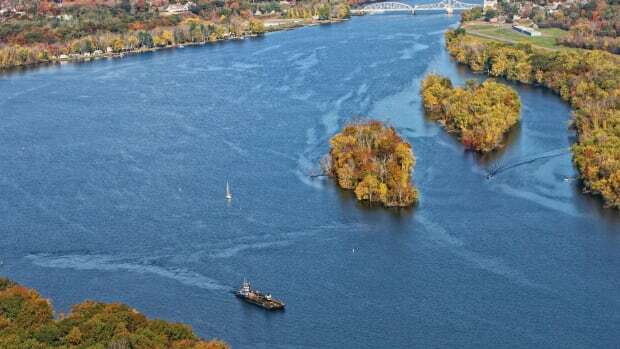 Areas of expertise include mechanical and electrical systems, diesel and gas engine installation and maintenance, plumbing and sanitation, and ancillary items, from watermakers to outboard engines to dinghy booms. Seaborne is rigged and ready to go. Major projects are not always easy. The Nordhavn 43 refit, which took eight months, was “intense, detailed,” he says. 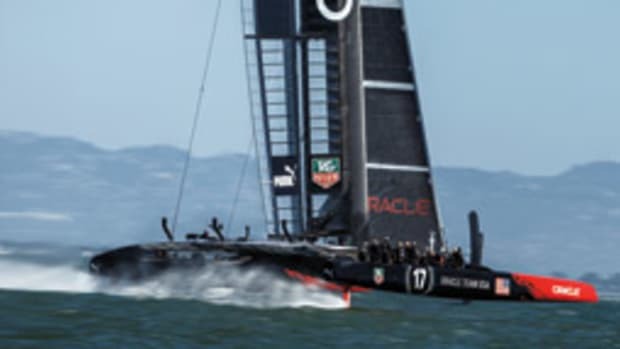 But the relationship between the owners, Don and Jill Bernard, and the Raven Marine staff saw the concept through to completion.